The Backstreet Boys helped kicked off the WTA Finals in Singapore this weekend, and Caroline Wozniacki was more than happy to get her 1997 on. The world No. 6 had front-row seats for the concert and seemingly sang along with every word to every song. 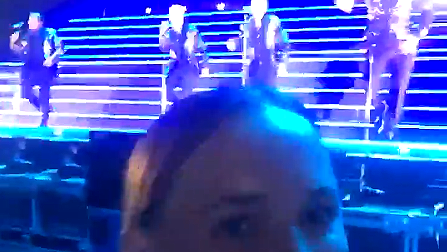 She posted a video of her jamming to "As Long as You Love Me," and it looks like she had the time of her life.